Valerie Kasanita Adams is a prominent shot-putter from New Zealand, formerly known as Valerie Vili. She is amongst those nine athletes who have won athletic events in all three (Junior, youth, and senior) levels. Valerie is the first woman to win four consecutive individual titles at the World track and field championships. 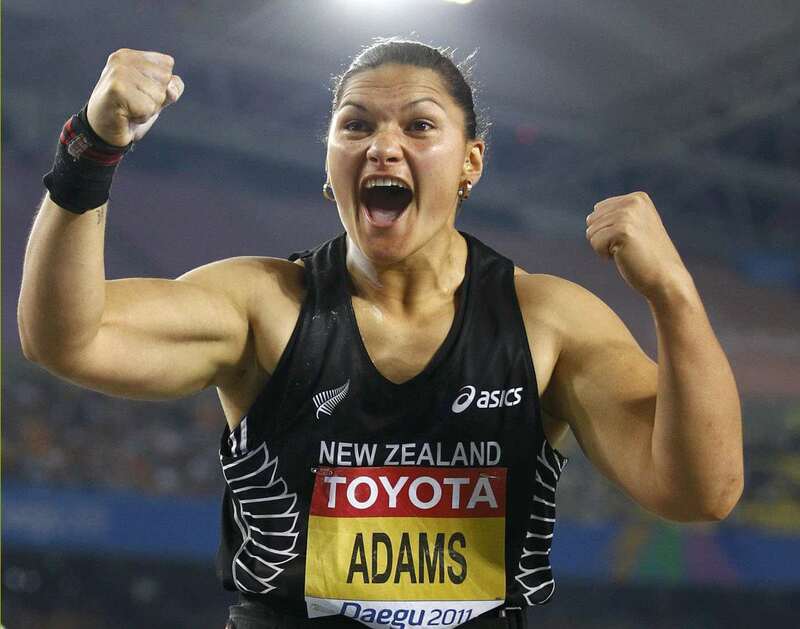 She was awarded the prestigious Halberg Supreme Award for three consecutive years in between 2007 – 2009 for her astounding performances in shot-put. She won the World Youth Championship of 2001 that convened in Debrecen with a throw of 16.87m. With a throw of 17.73m, she won the World Junior Championship that took place in Kingston, Jamaica in the year 2002. She had her first senior success, winning a silver medal by throwing the shot put 17.45m at the 2002 Commonwealth Games, held in Manchester, England. Valerie broke the record of 19.00m and won the gold medal with a throw of 19.66m at the 2006 Commonwealth Games, held in Melbourne, Australia. The IAAF (International Association of Athletic Federation) honored her with the title "World Athlete of the Year" in 2014. With a throw distance of 20.42m, she won a silver medal at the Rio de Janeiro Olympics of 2016.